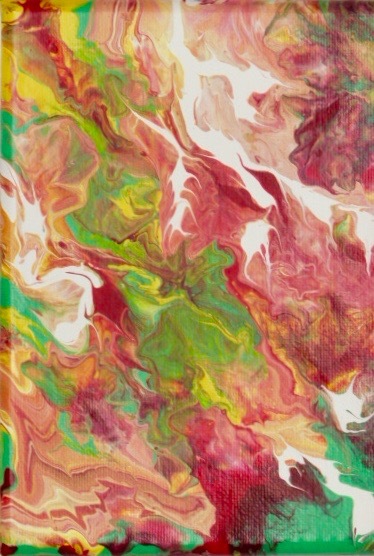 Original unframed acrylic pour on stretched canvas finished with a satin varnish 12.5 cm X18cm x 15 mm / 5” X 7” x 5/8" and ready to hang. This painting attunes to the Angel Amabael, Angel of Winter. The care and nurturing of life as it sleeps then bursts forth with renewed vigour. Symbolically Winter may of course represents or describes an emotional winter as the soul takes rest to recover from deep pain or hurts.